Todd Lamppa originally hails from Flushing, Michigan where he graduated from Flushing High School in 1991. During his youth, Todd spent his summer months helping with his family’s lodging business on the shores of Lake Superior in Copper Harbor, Michigan. Todd would later graduate from Northland International University in Dunbar, Wisconsin with a B.A. in Biblical Studies. Todd married in 2000 to his wife Jennifer, and they moved to Jackson in 2002. Todd has a background in residential construction, real estate sales, appraisal and development. Todd started selling real estate in 2005 as a Sales Associate and went on to attain his Broker’s license in 2008. Todd is currently assisted by his wife, Jennifer, who is a licensed Sales Associate. Their team approach brings a comprehensive service to their clients where no detail is overlooked. 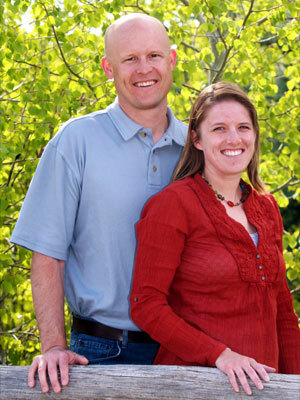 Todd lives in Jackson, Wyoming with his wife, Jennifer, and children. Jennifer grew up in central Wyoming where she graduated from Natrona County High School in 1997. After graduation, she went on to pursue a degree in education at Faith Bible College in Ankeny, IA. Jennifer married her husband Todd in 2000 and would eventually move to Jackson in 2002. She enjoys activities such as: skiing, biking, hunting, running, soccer, gardening and spending time with her husband and children. Jennifer received her real estate license in 2009 and enjoys working with people and helping them through the real estate process. Meredith and Jamie have done a great job for us. They were VERY creative and dogged in finding us a fantastic long-term rental in Jackson Hole. They have also done an excellent job keeping us apprised of the market, as we consider buying. I have referred several friends to them for vacation rentals, and everyone has been very pleased.